BUDAPEST, HUNGARY (28 February, 2018) – Arilou Information Security Technologies , a supplier of high-end cyber security solutions for the automotive industry, has developed a first-of-its-kind central management technology to enable dynamic and secure control of in-vehicle communication networks. Specifically, Arilou, part of the NNG Group, designed this cyber security tool – the Ethernet Security Hub – as an innovative solution for connected and autonomous vehicles equipped with Ethernet networks. To read more about Ethernet networks in the car, please check the related blog post. Ethernet networks are increasingly being incorporated in vehicles to efficiently and reliably process the vast amount of data from complex new electronic systems, such as advanced driver assistance systems (ADAS) and infotainment systems. Compared to CAN bus networks that have traditionally been used, Ethernets have a greater bandwidth to collect and transfer more data at a faster rate. 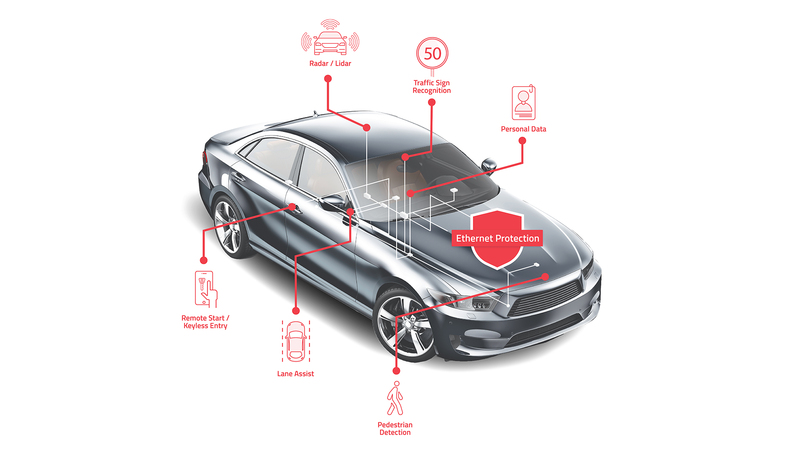 Arilou’s technology was developed to prevent security risks, and addresses critical safety vulnerabilities associated with integrating connected and automated systems into vehicles. While other gateway communication controls exist, Arilou’s Ethernet Security Hub is a more refined solution that allows for complete, real-time management of the interaction between a vehicle’s electronic systems. The technology works by opening and closing secured communication channels between components in an ad-hoc manner, thus ensuring that the highest level of security is always kept. This helps limit the number of areas vulnerable to attacks from hackers. With this new solution, we give automakers the ability to dynamically control the entire in-vehicle communication network, which was not previously possible. The Ethernet Security Hub acts as a translator to bridge gaps between various systems and allow them to communicate with each other in a secure fashion, even if they were not originally intended to do so. This provides not only comprehensive control of the communication channels, but also better identifies hack attempts, and allows drivers to maintain control in the event of an attack. said Ziv Levi, founder and CEO of Arilou. Existing cyber security solutions are largely pre-configured, and therefore not able to dynamically switch communication protocols like Arilou’s new technology can. With the innovative new solution, a GPS transmitter that used to constantly transmit a vehicle’s location over the cloud can now be programmed to only send location information when an accident occurs for added safety and driver privacy. In addition, while tremendously reducing the risk of an attack to the in-vehicle communication systems, the security solution does not interfere with the overall functionality of the Ethernet network. Along with being dynamic, the Ethernet Security Hub is flexible and can be configured to fit the individual system architectures of any OEM vehicle. New electronic components can easily be added if automakers change suppliers or new technologies are introduced. This flexibility makes it a solution for heavy-duty trucks and buses, and other modes of transportation, such as trains, and in some cases, ships and airplanes. Arilou first began working on the Ethernet Security Hub in early 2017 after receiving requests from OEMs for a solution to the potential security risks posed by Ethernet on vehicles. The company aims to set a security standard for Ethernet integration, and help pave the road for securing connected cars of the future. Arilou was awarded with the Best Automotive Cyber Security Product Award by GDS Review in 2017.